The farmhouse “La Molara” Sessa Aurunca (Caserta) is a restaurant / B&B with swimming pool, in the “Roccamonfina Foce del Garigliano” regional park. Bordering the mountain community of Monte Santa Croce (Mount Holy Cross), the farm is located at the slopes of the Roccamonfina’s volcano. Nearby the Farmhouse, guests can visit spas and coppice with fruits and chestnuts. La Molara is also a good starting point to visit the ancient city of Sessa Aurunca (CE) and its Roman Theatre, an imposing structure dating back to the first century BC, or the Suio Terme only 3km away from San Martino. The farm is located a few kilometers from the sea and the town of Baia Domizia. 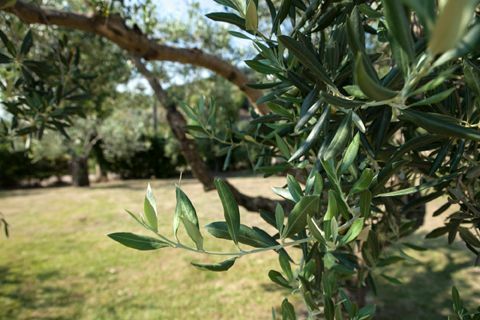 The management also work on organic cultivations of olives, chestnuts and vegetables, products that will accompany the dishes tasted during your stay at the farmhouse. Inside the park you can follow routes to discover places and paths in nature, walking or cycling. 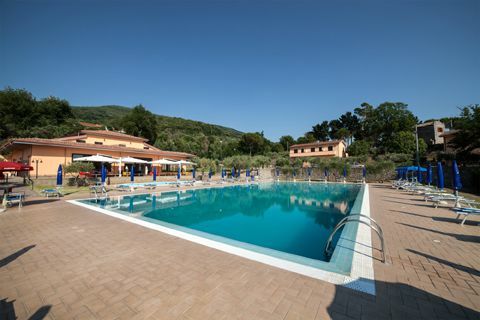 La Molara offers you a very nice swimming pool for growns and children , where you can spend a really relaxing time also between the bar and the children’s playground. All the buildings, including a ‘700 dwelling, represents a symbiotic relation between typical peasant tradition and rural architecture, without sacrificing modern comforts. The rooms, tastefully furnished , have private entrances and a view on ancient olive groves and on a natural terrace, from which you can look at the hole Gulf of Gaeta. Our kitchen is devoted to typical local dishes, prepared according to traditional recipes, with our own organic products and with carefully selected ingredients of the best in our land. The restaurant has a large woodburning oven for pizzas and in the dining room there is a large nice fireplace very popular amongst our guests. You will be shrouded in a healthy relaxed atmosphere, and quietly enjoy moments dedicated to wellness, nature, sport and good food. Apart from the pool,there are other spaces dedicated to sports: soccer field, tennis, bowling green and table tennis. Sports lovers can spend moments of real comfort and fun with all our sports facilities.